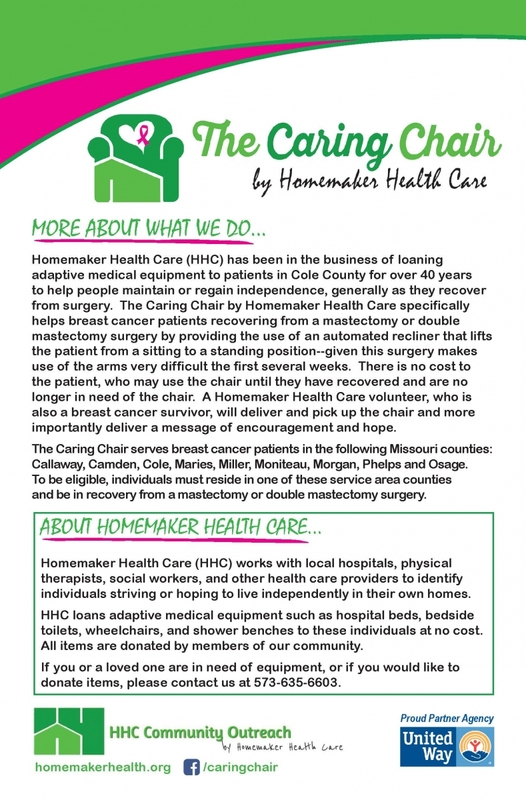 Homemaker Health Care (HHC) has been in the business of loaning adaptive medical equipment to patients in Cole County for over 40 years to help people maintain or regain independence, generally as they recover from surgery. 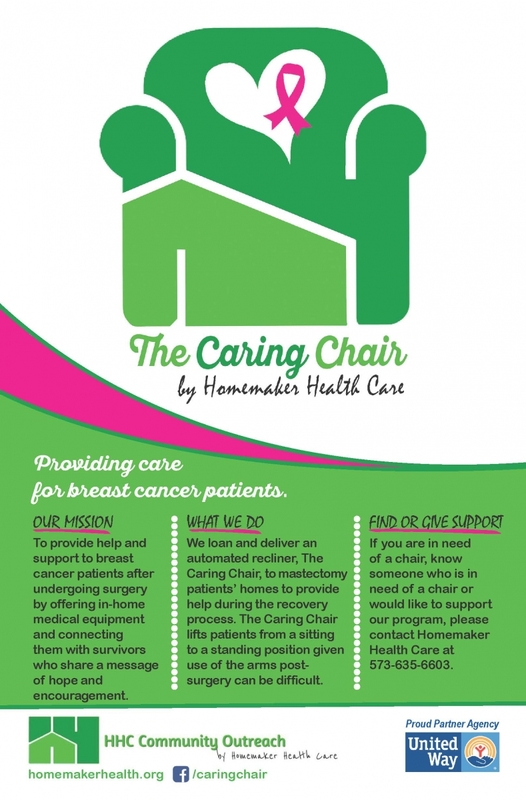 The Caring Chair by Homemaker Health Care specifically helps breast cancer patients recovering from a mastectomy or double mastectomy surgery by providing the use of an automated recliner that lifts the patient from a sitting to a standing position--given this surgery makes use of the arms very difficult the first several weeks. There is no cost to the patient, who may use the chair until they have recovered and are no longer in need of the chair. 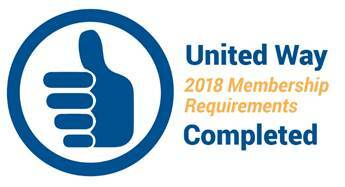 A Homemaker Health Care volunteer, who is also a breast cancer survivor, will deliver and pick up the chair and more importantly deliver a message of encouragement and hope. 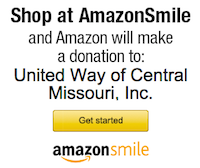 Visit Homemaker Health Care's website for more, or call 573-635-6603.